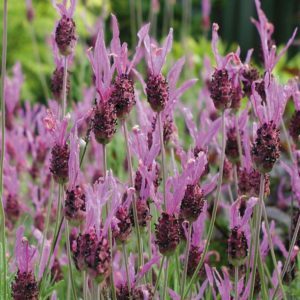 This variety holds its purple foliage during the summer and is superior to most other dark-leaved forms. 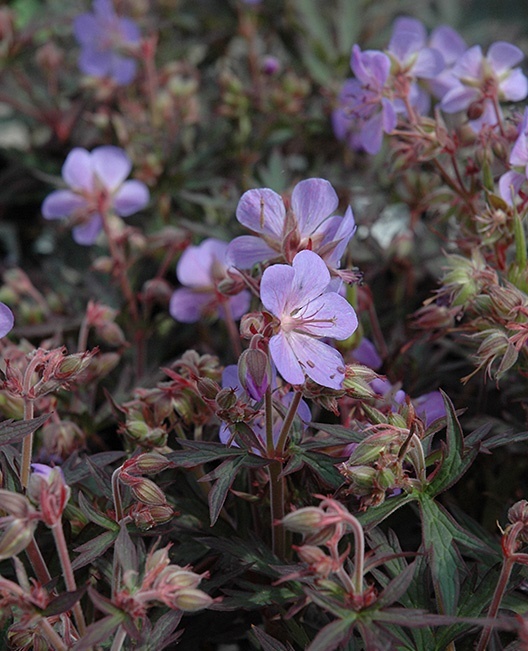 Clusters of denim-blue flowers appear above the mound of deeply cut black-purple leaves in early summer. 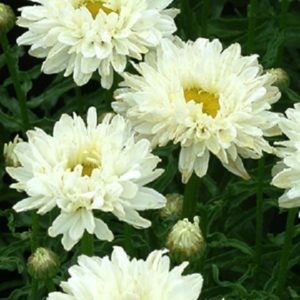 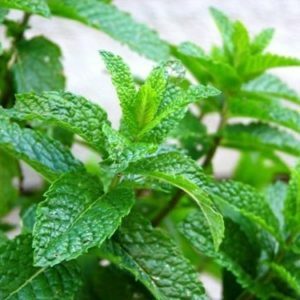 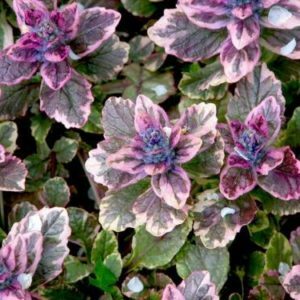 It has a sprawling habit making it ideal ground cover. 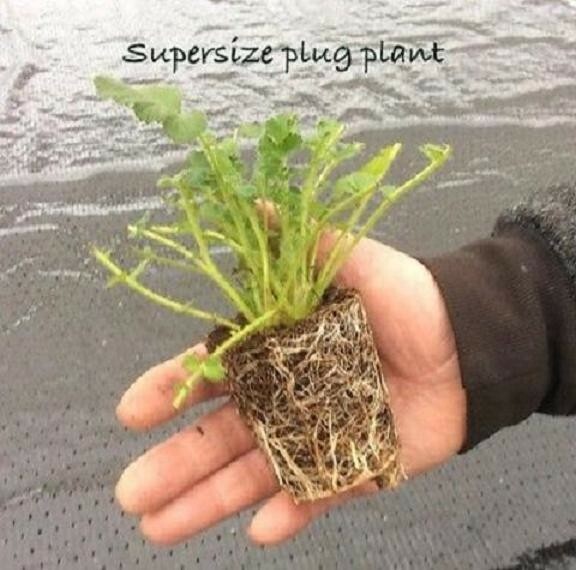 Pack of three super-size plug plants ( approx 50mm rootbase) large enough for direct planting into borders, tubs & pots.